I love cooking with pasta! I'm always hunting for new healthy pasta recipes for kids and experimenting with new ingredient combinations. The main thing I have discovered, when creating various pasta recipes for kids, is that the vegetables I add in have to either be "friendly" veggies (as in carrots, corn, and other super familiar non-green vegetables) or they have to be finely chopped or blended then sneakily added in to the sauce. If there are big chunks of broccoli in there, there's a good chance my little guys aren't gonna eat it. Pasta is always a huge hit at our house. My boys love their "noodles", and will usually eat them right up because all the vegetables are very sneakily included. (They love their couscous almost as much, and believe me this fantastic list of healthy couscous recipes for toddlers is definitely worth checking out). There are so many easy to create, quick, simple, healthy pasta dishes for kids and toddlers. Here are ten of my favourite kid-friendly pasta recipes, take a look through for some fresh new ideas. 1. 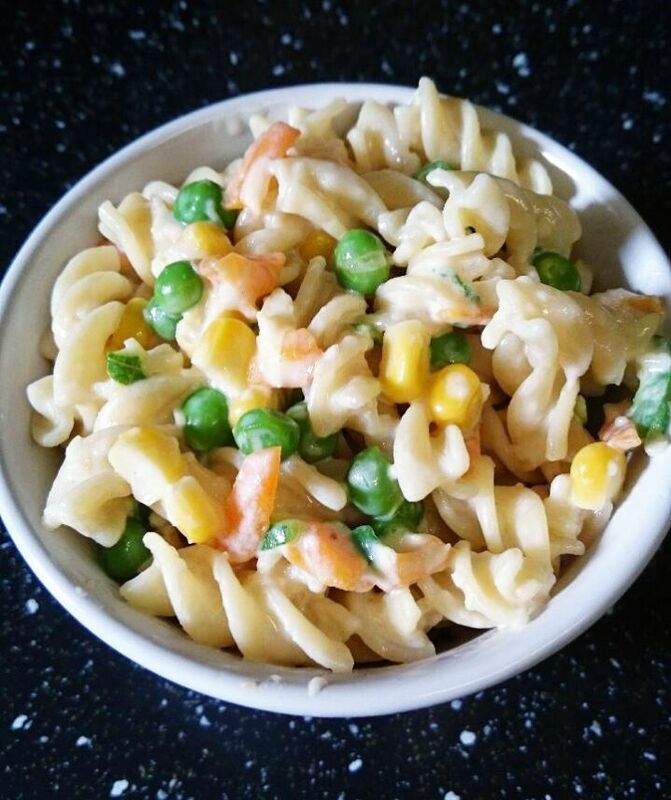 Easy Cheesy Veggie Pasta has four different vegetables crammed in with a creamy cheese sauce - yum! 2. 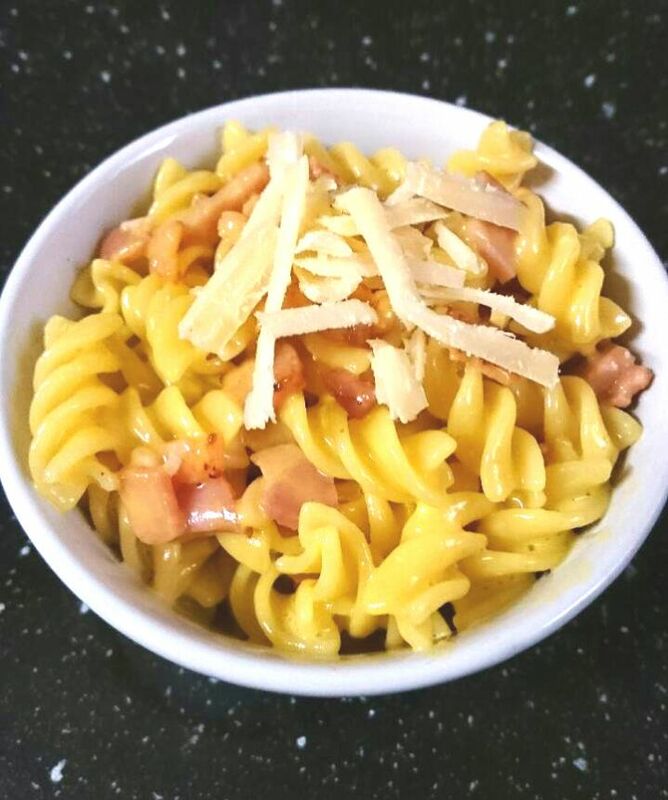 Pasta Carbonara is simply delicious, and you won't believe how quick and easy it is to make yourself. 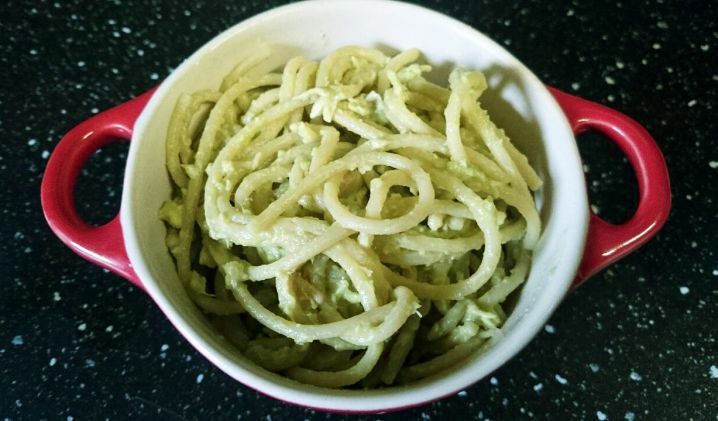 This is one of my favourite healthy pasta recipes for kids, it's always a winner at our house. 3. 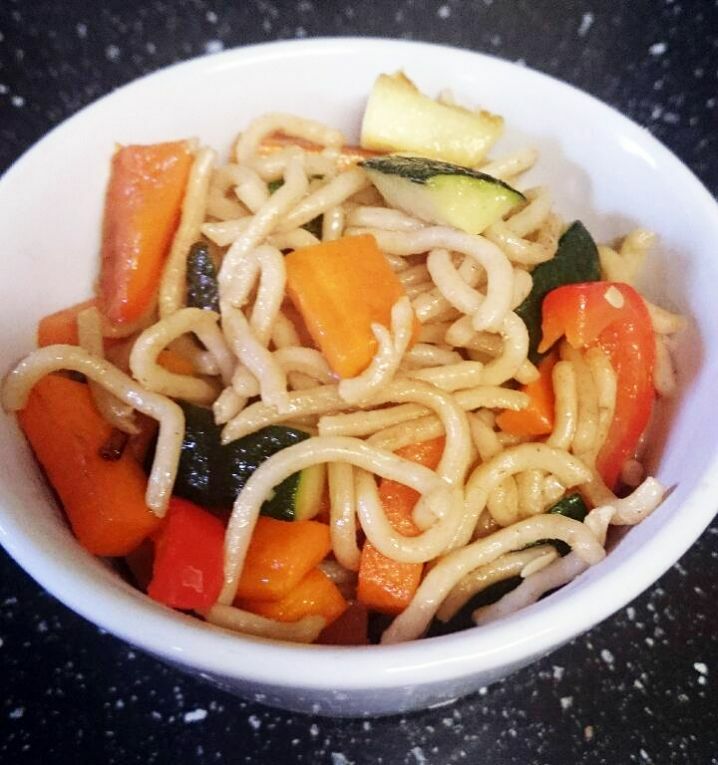 This aromatic Sesame Soy Veggie Stirfry is easy to make and tastes incredible. 4. 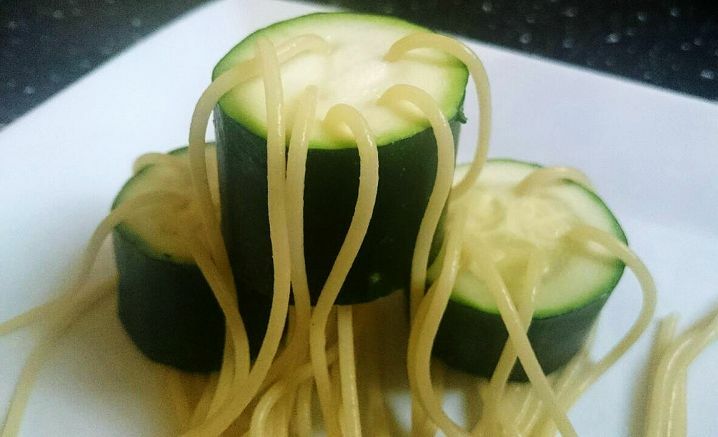 Noodley Zucchini is a great way to make plain old zucchini much more exciting for your toddlers. 5. 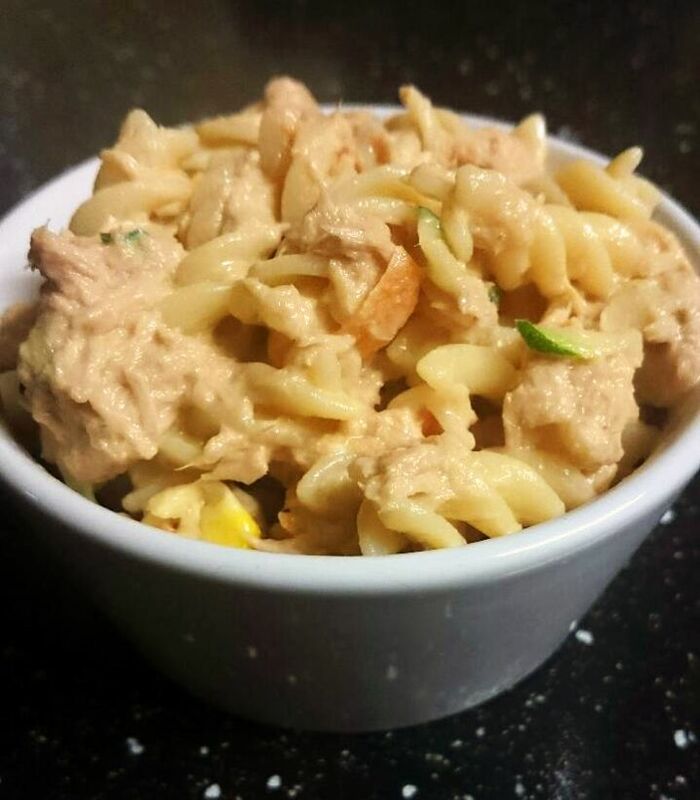 This Creamy Tuna and 3 Veg Pasta is quick to make, and has some sneaky grated veggies added in to the sauce. 6. 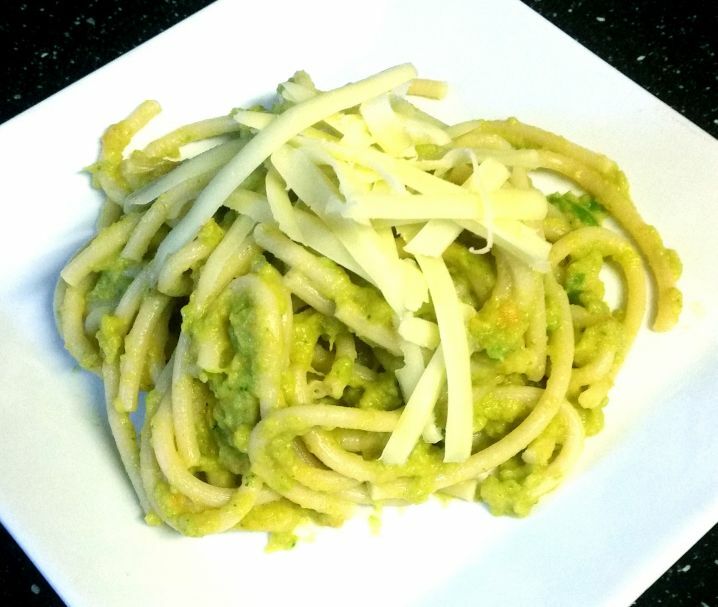 This nutritious Chicken Avocado Pasta is made using just three simple ingredients! Save some leftover cooked chicken to make this dish even easier to throw together. 7. 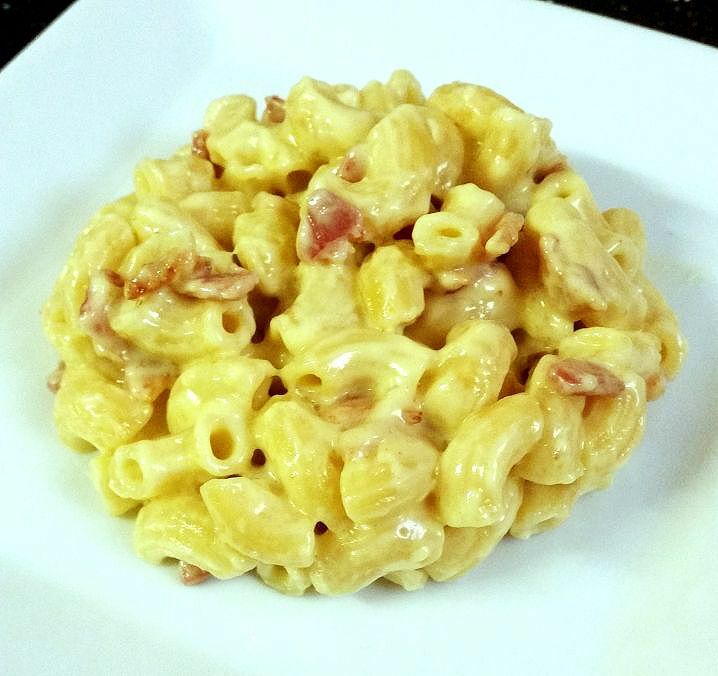 Bacon Garlic Mac and Cheese is packed with flavour and unbelievably simple to make. 8. Cheesy Veggie Pasta Sauce is a fantastic way to sneak some extra vegetables into your toddler's diet. This is a great pasta sauce for toddlers as it is made almost entirely of vegetables, but still tastes cheesy and delicious. 9. 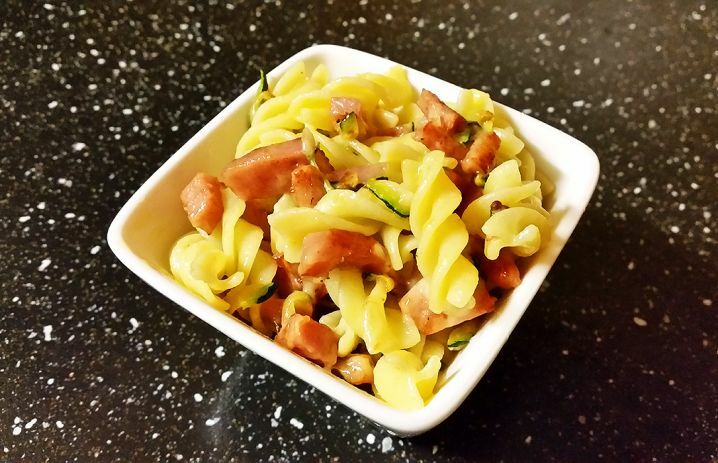 This healthy Ham, Cheese and Zucchini Pasta is a great easy pasta recipe for kids. It tastes great and is so quick to prepare! 10. 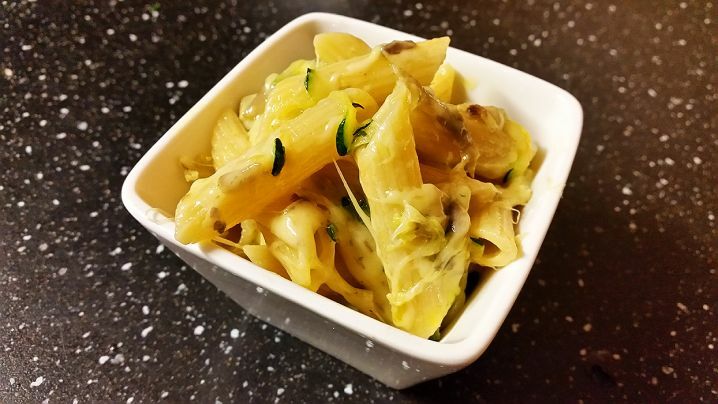 Cheesy Mushroom and Zucchini Pasta makes a fantastic healthy kids lunch. The nutritious zucchini and mushroom is grated up nice and small, and the whole thing is loaded with tasty cheese! Many toddlers love to dip their food in sauces. By providing them with healthy dipping sauces (eg. Greek yoghurt with avocado blended through) they may be encouraged to eat more of what's on their plate.